Weight: 15.66 oz. 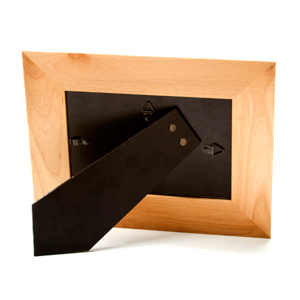 / 444 g.
Top quality, natural Alder wood frame features easel back design for table top display, or ready for wall mount. The large size fits a 5 x 7 inch photo. 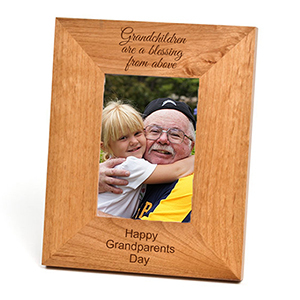 Personalize it with a message on top or bottom - observe whether your photo is in portrait or landscape before ordering. Wood grain will vary, so not all frames will look identical. Up to 4 lines of 40 characters each, including spaces!